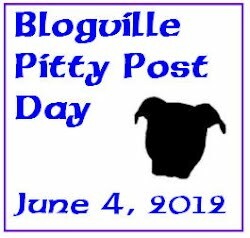 Sorry we’ve been missing here & not commenting on anyone’s blog’s. We’re terribly out of touch with what’s going on in Blogville. My mom person has been having some sickies again and everything kind of ground to a halt. I’ve rallied her round, though as the Olympics are about to start. 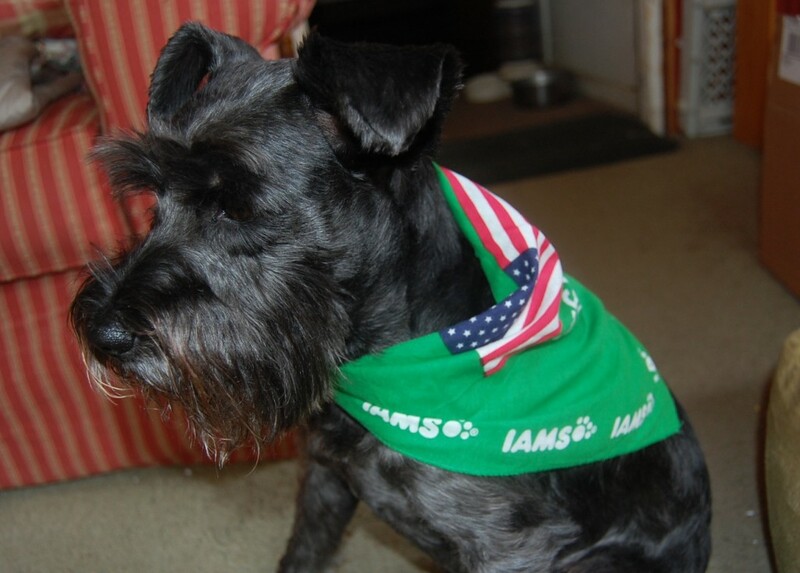 Here I am in my official Iams Olympic scarf. I want to personally thank Iams for our wonderful Olympic scarves. I’m an Iams dog and proud of it! We had great entries for our Crazy Sleeping Singles & Synchronized Sleeping events, so make sure to check back on Sunday to see some great sleeping athletes!